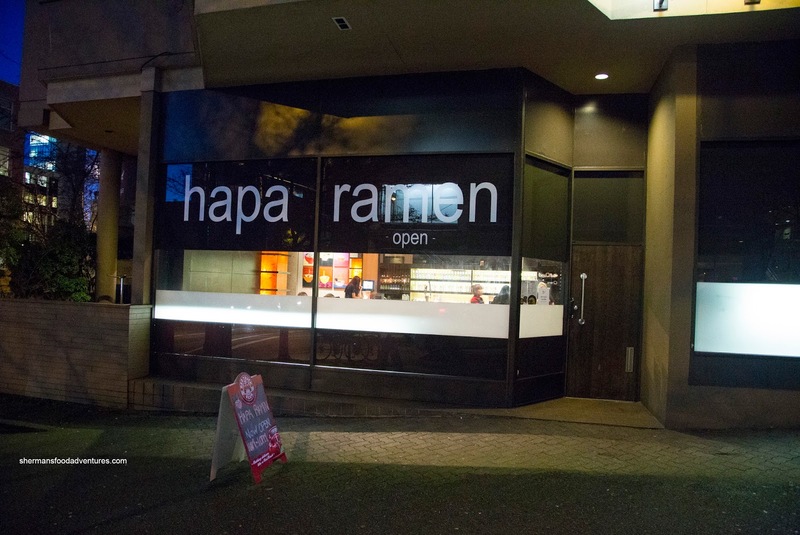 I don't hide the fact that Hapa Izakaya happens to be one of my favourites in Vancity. Yes, our preference for restaurants are highly subjective and I'm sure there will more than a few of you that will disagree (and have their own favourites). To make it clear, Hapa is "one of my favourites", so there is more than one! 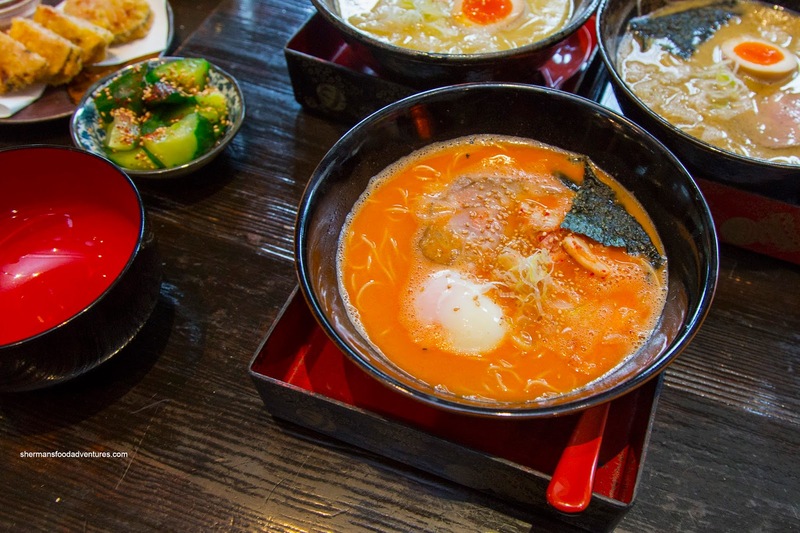 So when I heard they sectioned off one-half of their flagship Robson location to create Hapa Ramen, I quickly grabbed Snake (not literally because snakes can be scary) and headed down for some slurping action. After snacking on some pickles, we moved onto 2 appetizers including the Chicken Karaage and Tempura Gyoza. 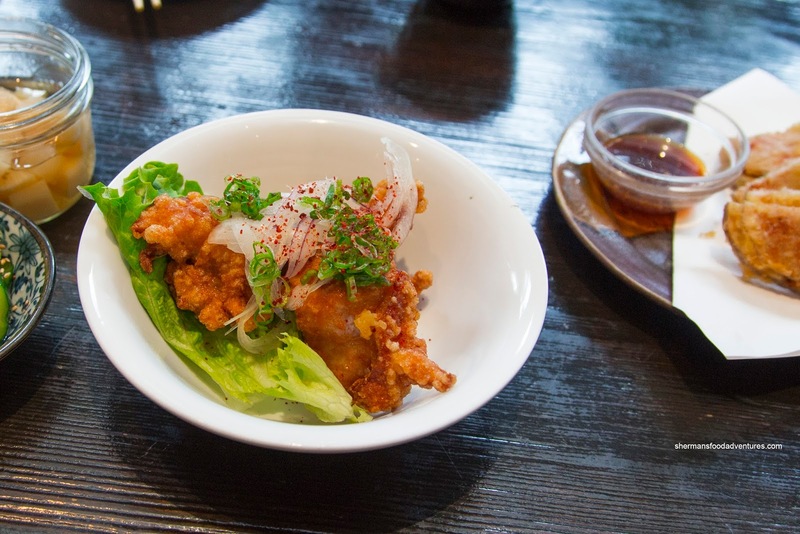 Prepared in large chunks, the chicken karaage was succulent and juicy inside while lightly crispy on the outside. The meat was adequately seasoned while the coating was equally so. I personally could've done without the large amount of battered chicken skin though as it was not completely rendered. 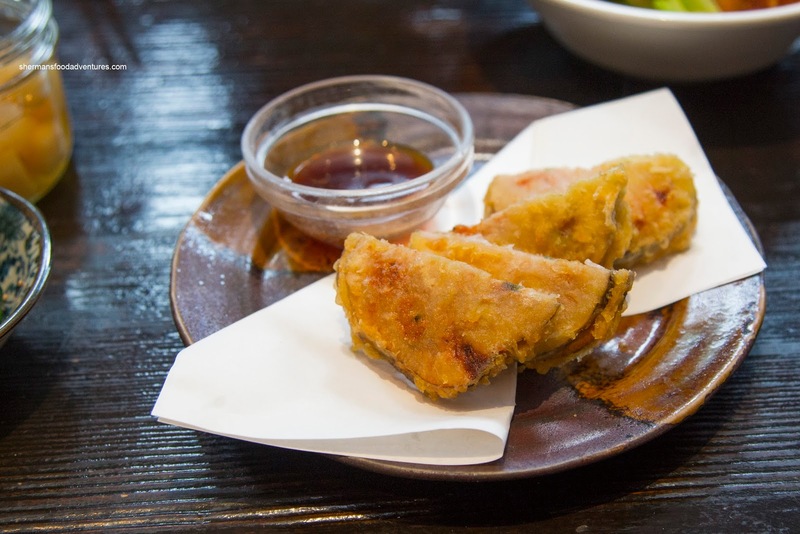 As for the gyoza, they were classic Hapa variety consisting of meat sandwiched in between sliced lotus root. I have been indifferent about this version in the past, but this time around, it seemed the lotus root was thinner which meant it was less noticeable. The accompanying dip was appealingly sweet and tart. Onto the ramen, we tried the Kimchi version first and it was only lightly spiced while smooth and silky. 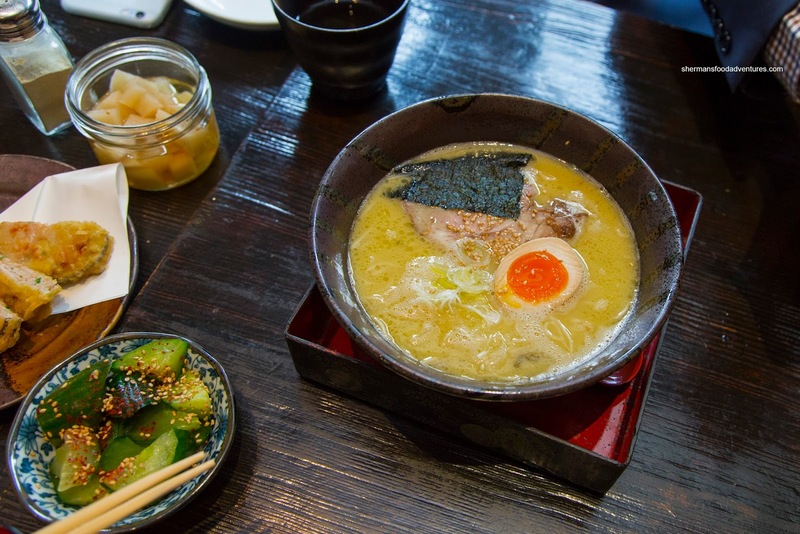 There was a noticeable body to the broth which was moderately thick. By virtue of being chicken broth, it wasn't heavy despite exhibiting a thicker viscosity. Despite the addition of kimchi, the rich chicken flavour was still discernible. We found the noodles to be nicely al dente and they didn't degrade as time passed by. However, we weren't overly fond of the thick-sliced and lean chashu. It wasn't chewy per se, but it didn't exhibit the buttery lushness of a fattier and more thinly sliced cut. 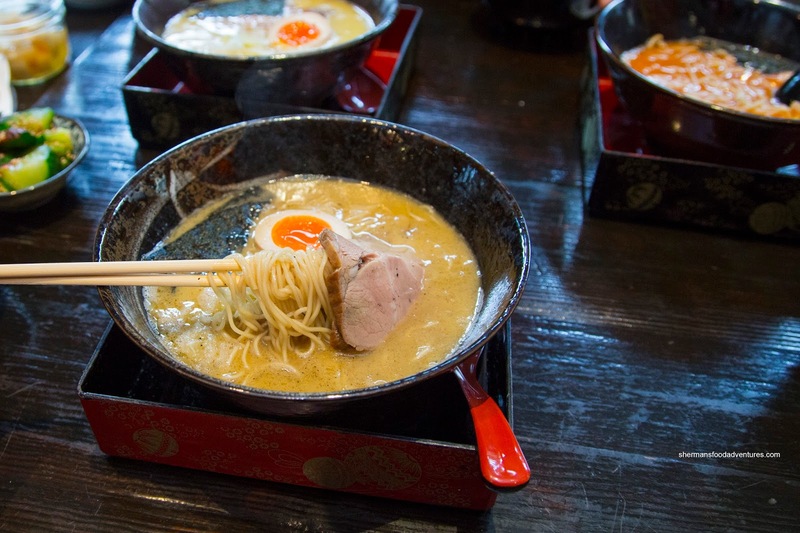 We did like the Onsen egg though as it featured a thick and creamy yolk. With seemingly more body, the Shoyu was predictably more salty where we could really taste the meatiness of the broth. Again, the noodles were chewy with the same lean chashu. The Ajitama egg was pretty good with a soft yolk. Lastly, the Shio Ramen was similar to the shoyu with a similar saltiness except being less complex in flavour. This one was the cleanest tasting of the bunch (not surprisingly). It was rather salty (duh) due to possibly a touch too much MSG? With that being said, the broth was tasty with a deep meat essence. Again, the meat was too lean for our tastes. On the other hand, they did mentioned that a fattier option might be available in the not too distant future. 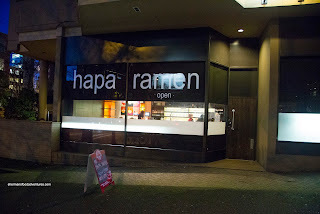 Despite the chashu, the ramen at Hapa seemed to be more-than-acceptable given all the competition along Robson. However, I would see if there was a lineup outside Santouka first.